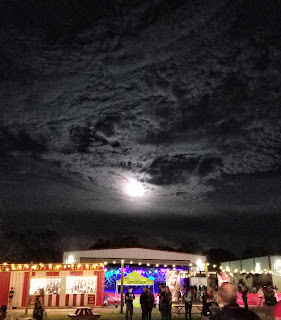 I was lucky enough to partner up with SCREAM-A-GEDDON again this year. They provided me with the opportunity to go for free with some friends and to giveaway some tickets (if you are just now reading this, you missed the giveaway. Check back next year and hopefully I will have another one.). Honestly, I would have paid for tickets to go anyhow. This is the third year that S-A-G has been open and my third year (and fourth time) going. It gets better and better every year. I cannot recommend it enough. Here are 8 reasons why YOU will want to visit SCREAM-A-GEDDON ASAP. These are quotes from my two friends that I took to S-A-G last night. It was their first time and we had so much fun! They both loved it. One of them is even returning next week and taking her family and neighbors. 2. 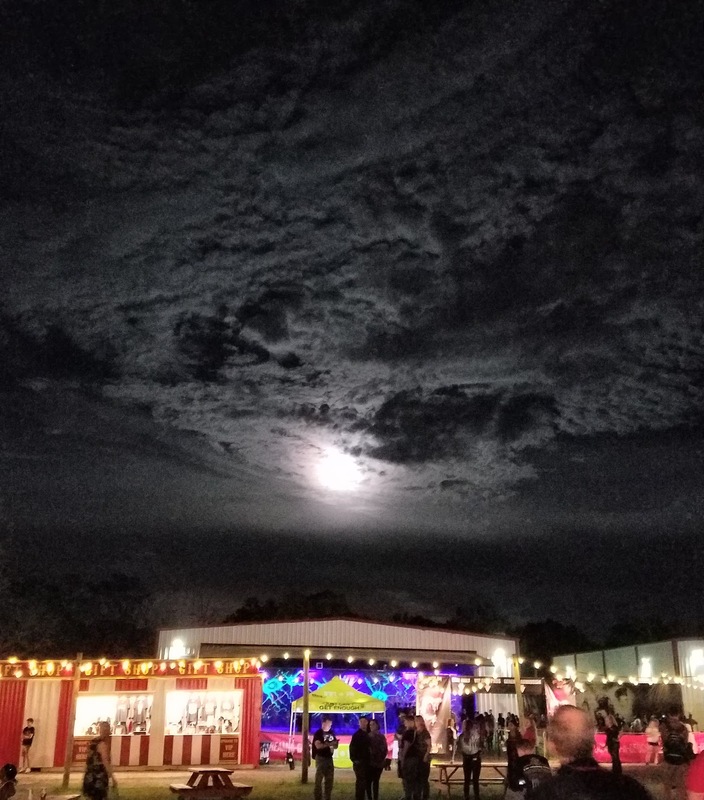 SCREAM-A-GEDDON is literally located in a dark field / woods in the middle of nowhere. It is so beautiful and tranquil, but also really dark and creepy. 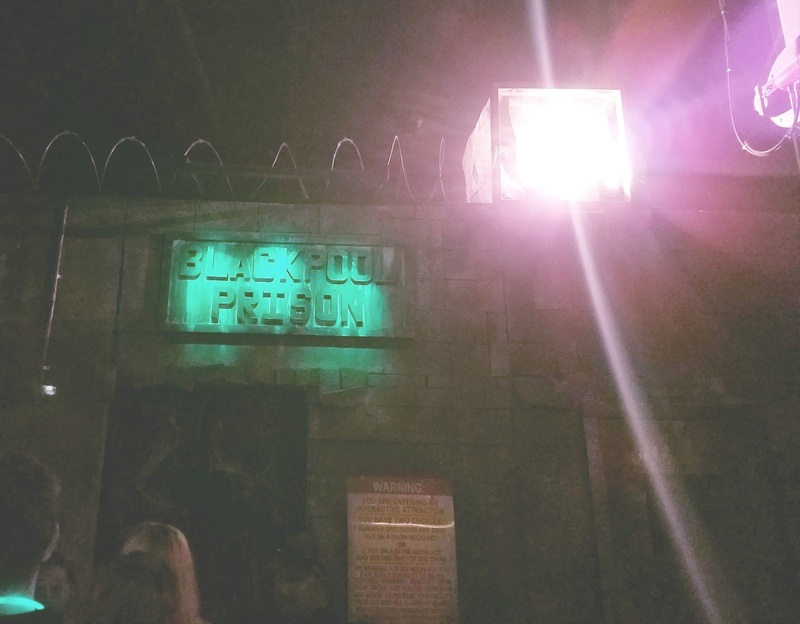 You won't have lights from rides, streetlamps or buildings illuminating all the people waiting to scare you at this attraction. One of my friends mentioned that she loved it because it felt like we were in the country on a farm. 4. They have an amazing haunted hay ride. 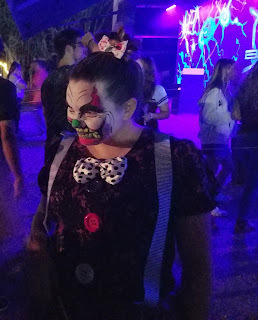 I admit that I was not a fan of the Cursed Hayride the first year. I didn't find it scary and had a few bored moments on the ride then. I tried it again last night and it was amazing! They actually stop the hayride in several scare zones. Everyone on the ride was screaming, laughing and jumping. It was a lot of fun. They also have some pretty amazing sets to look at. If you look closely, you can see some of the course from Treehoppers while you are riding around. Dead Woods is my other favorite attraction. For me, it is by far the scariest and most enjoyable attraction I have ever been in. 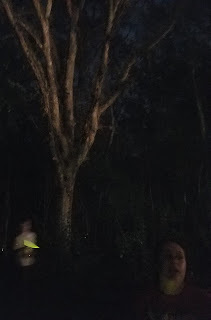 You literally walk on a small scarcely lit path deep into the woods with a small group and one glow stick. They wait a few minutes between groups so that your group should remain alone (people sometimes ruin this by stopping or running). 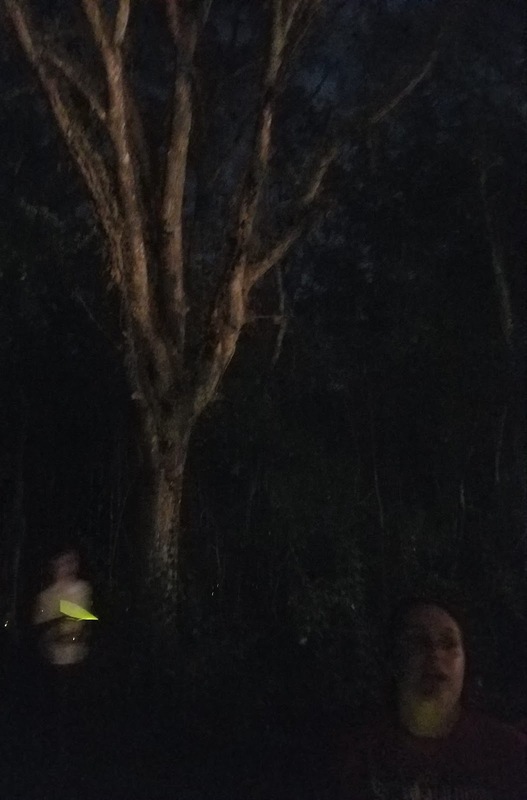 The glow stick is so that the people in the woods can see you coming. However, you won't always see THEM. This is the attraction that sometimes makes me leave my group and run out of the woods. Opps. Pro Tip: head to Dead Woods first because the line gets long. 6. 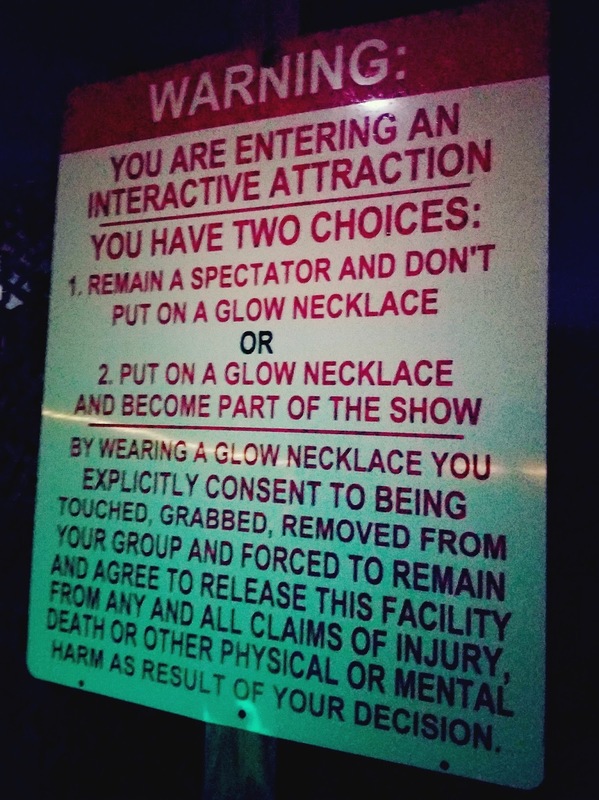 They only allow a few people to go through an attraction at a time. 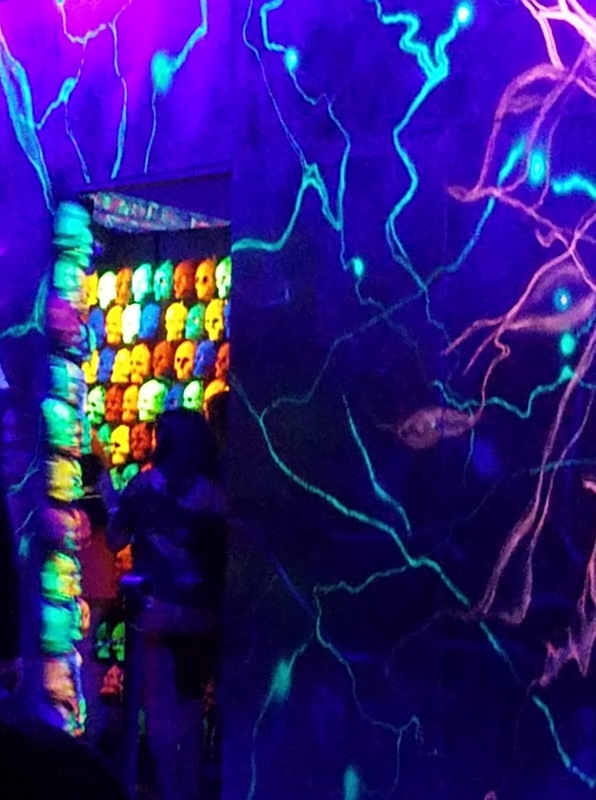 The thing that I hate the most about some other haunted houses and them park attractions is that they do not allow enough time between letting groups of people go into a house. 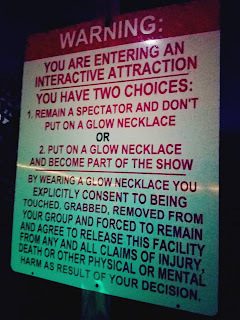 Haunted attractions are best done in small groups so that you aren't watching the group in front of you get scared. Like many others, I am only scared if I don't see them coming. 7. 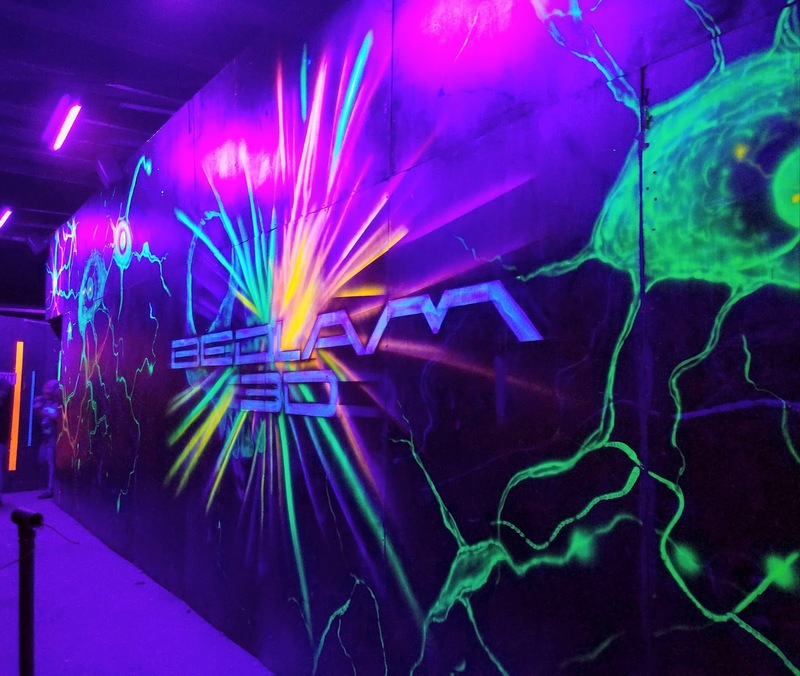 Bedlam 3-D is a very creative artistic house. Bedlam is the "circus" "clown" house. However, it is so much more than that. 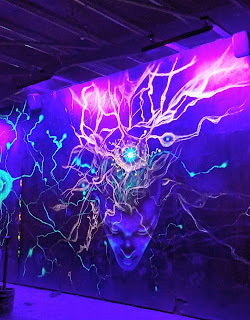 You wear 3-D glasses and from the 3-D neon skulls that pop out at you to the firing neurons that are painted on the wall, it is a work of art. 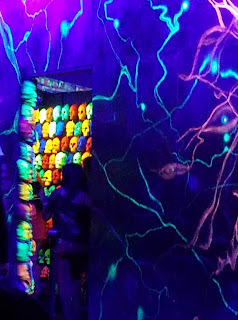 My friend actually stopped in the middle of the maze to admire a large brain hanging from the ceiling and was scared by an actor lying in wait. There is a lot to see and appreciate in this exquisite house. 8. The houses are always changing / improving from year to year. I have been to S-A-G four times over three years. I have been to S-A-G twice this year two weeks apart. Each experience has been drastically different. While the attractions have the same names as last year, they have changed a lot. I already talked about how the hayride has changed. What I didn't mention was that Bedlam 3-D used to be really cool just because of the esthetics. Now, I find it scary too. They have improved this house SO much. Other attractions (especially theme parks) literally have the same houses every year. The SCREAM-A-GEDDON owners and manager literally travel the country to haunted houses looking for new amazing ideas and bring them back to incorporate into the houses to make them better. The names may remain the same, but the attractions change year to year. What are you waiting for? Do not wait until next year. Experience the fright of your life today! SCREAM-A-GEDDON is located just north of Tampa in Dade City. It runs every night through Halloween and November 3rd and 4th. Pro Tip: Buy your tickets online as early as possible. They are cheaper online and prices are subject to increase closer to the date. Make sure you follow SCREAM-A-GEDDON on Social Media. Hint: they have giveaways too!